Stan’s Obligatory Blog » Did I mention that this is great? Did I mention that this is great? I rode the train downtown, and it was a pleasant journey, as always. I walked over to the YMCA and got changed, and then went and got in line at the Wells Fargo building. When they let us in, I waited a couple minutes before starting out, since I wanted the group to spread out a bit before I had to pass them. It’s always easier to pass one or two people at a time, as compared to passing a big crowd all at once. 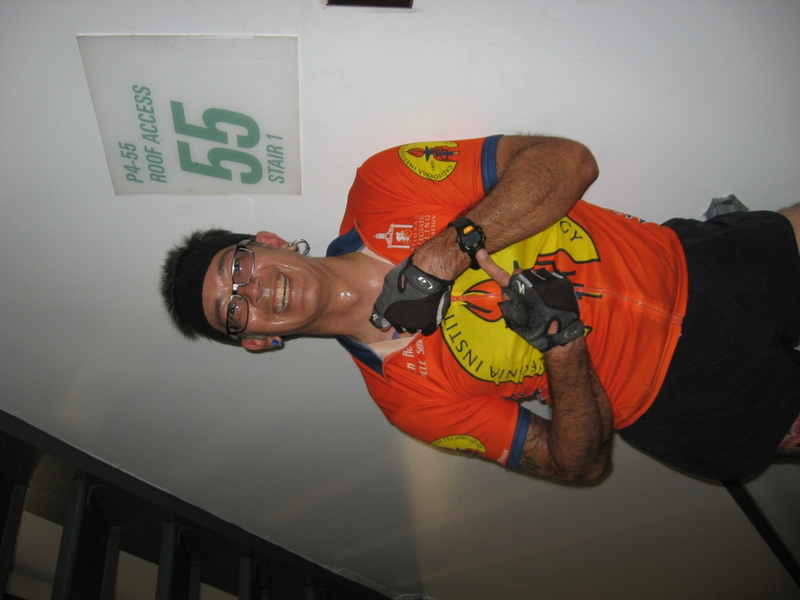 I tried hard to not look at the floor numbers, and that was helped a bit by the fact that It took me about 35 floors to pass everyone from the group that had started before me. When I got to 28, I looked at my watch. It said 4:24, and that was a good sign. I knew then that I had a chance at going under 9 minutes. When I got to 50, I looked at my watch again, and it said 8 minutes. So I knew I had a chance. I kept going at my same pace until I saw 53, and then I did my best to put on a burst of speed. Which was a Tremendous Effort, but I suppose was not really all that fast. But that didn’t matter. 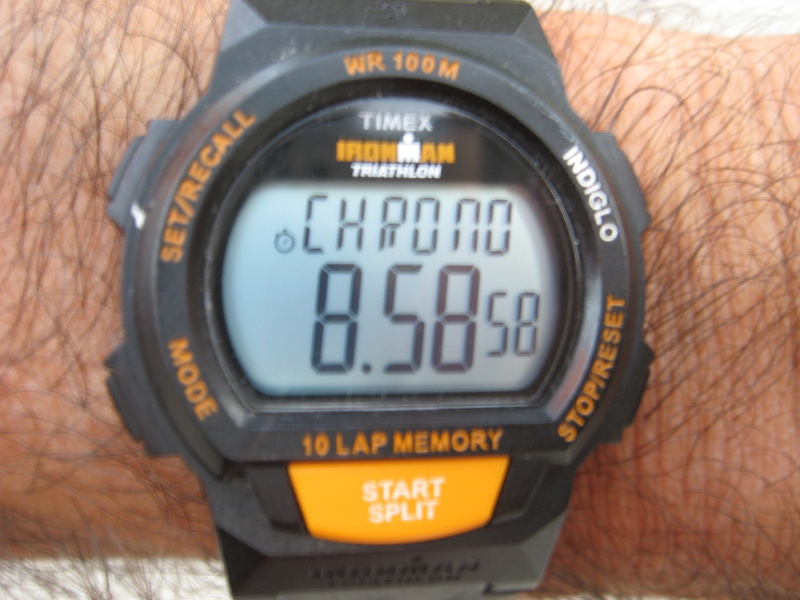 I heaved myself up on to the landing at 55, and my watch said 8:59. Did I remember to mention that this is great? 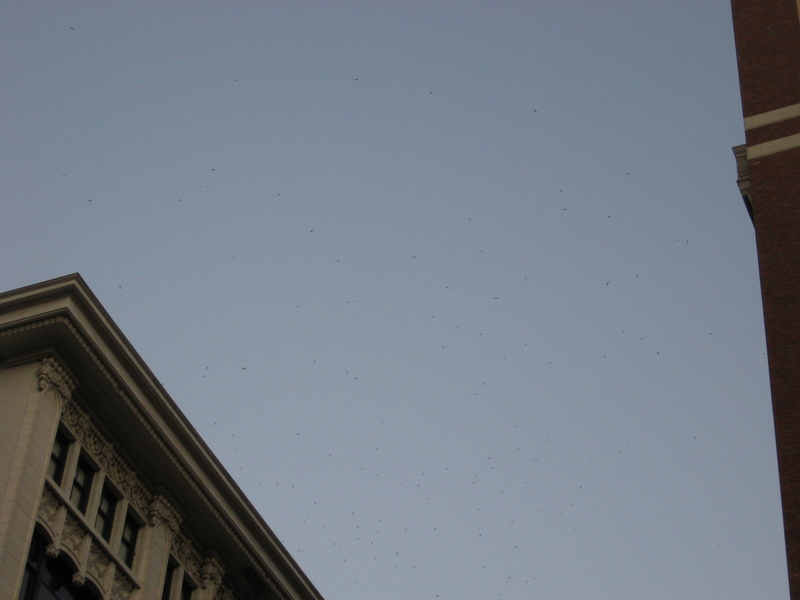 On the way home, I saw a cloud of what looked like some several hundred bats flying over 5th St in downtown L.A. That was odd, since I wasn’t aware of any bat colonies here, unlike the one we went to see when we were visiting Austin in July. According to Curbed L.A., they’re swallows. 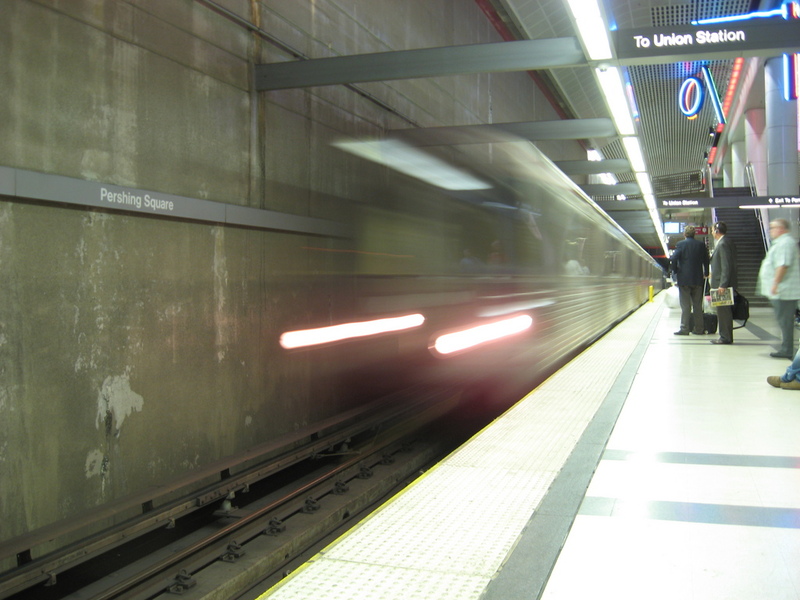 When I went down into the subway station, I got there just in time to see the train leaving. The video monitor said there would be another train in 5 minutes. And 5 minutes came and went. 10 minutes came and went, and 15 minutes came and went. 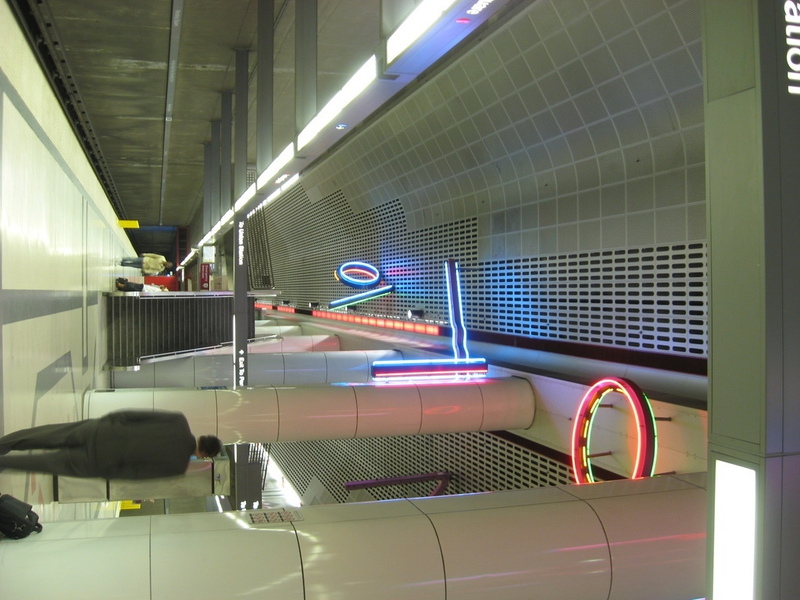 So I amused myself by taking some pictures of the neon art in the Pershing Square Metro station. But finally, the train came. And I got to go home. It was a good evening. Did I mention that this is great?